Forest Enterprises is one of New Zealand’s leading forest investment companies and is unique in providing both forest management and investment services. Our business is to create wealth naturally for private investors via New Zealand pine plantation forestry. And our mission is to make forestry investment accessible to retail investors. 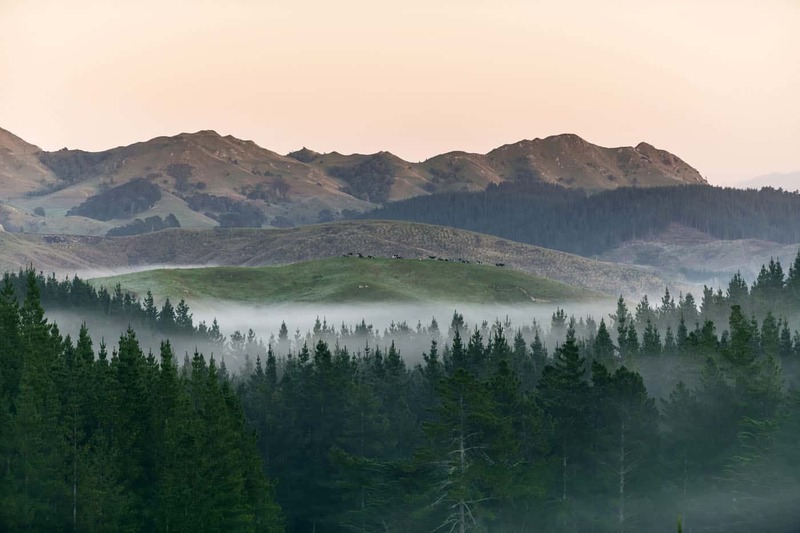 Our 6,600+ investors are almost all New Zealanders, and on their behalf, we manage a forest estate of 20,000+ hectares in the North Island’s east coast regions of Wairarapa, Hawkes Bay and Gisborne. We have over $450 million worth of assets under management. Since we started in 1972 in Masterton, New Zealand we have remained a locally owned and operated business. We have grown to 21 employees in total — who include the company’s five owners — professionals in the fields of forestry, accounting and finance, administration, law, and sales and marketing. We are currently promoting New Zealand’s first retail forestry investment under the new financial markets regime. Forest Enterprises is the business name for Forest Enterprises Limited (FEL), and its parent company Forest Enterprises Growth Limited (FEG). FEL is the Manager of the Hampton Forest Investment. FEG is contracted by FEL to coordinate and supervise all the field activities relating to the land and trees, at the direction of FEL, a licenced manager of forestry managed Investment Schemes under the FMC Act.